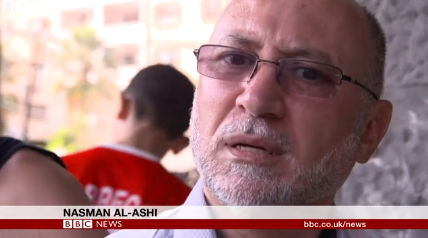 Our CAMERA colleague Alex Safian has been taking a look at the differing styles of three recent BBC interviews with officials from Israel, Hamas and UNWRA. Over at Presspectiva, Yishai Goldflam notes the inaccuracies promoted in Gideon Levy’s recent interview with the BBC World Service. That article (Hebrew) can be found here. On the afternoon of July 28th, at around 17:00 local time, explosions took place near Shifa hospital and in the Shati area of Gaza City and around half an hour later, it was reported that ten people had been killed, including children. Along with Hamas spokesmen, many members of the international media in Gaza immediately jumped to – and promoted – the conclusion that the explosions were the result of Israeli airstrikes. Just after 18:00 the IDF stated that it had not been operating in the area at the time and confirmed that both explosions were in fact missiles misfired by terrorists. 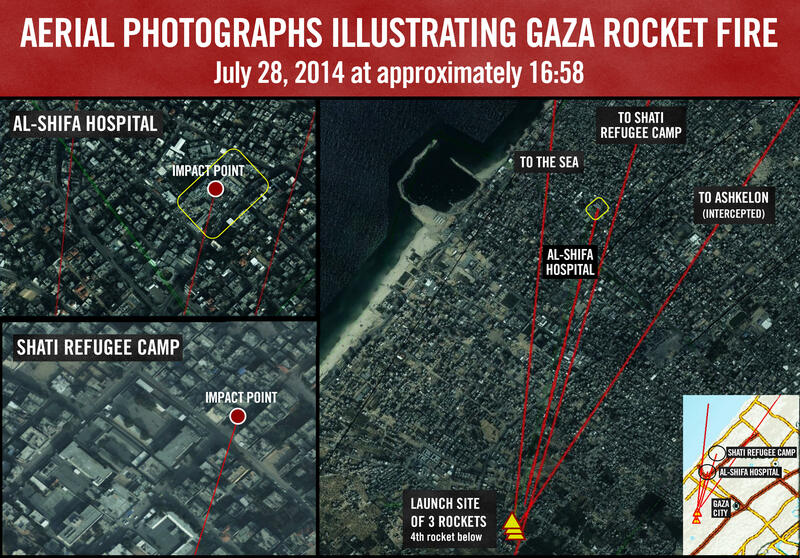 Not long afterwards, an aerial photograph was made public showing the trajectory paths of four missiles launched simultaneously by terrorists from inside the Gaza Strip, as recorded by IDF radars and sensors. One of those missiles exploded near Shifa hospital, another exploded in the Shati area, a third landed at sea and the fourth was intercepted by the Iron Dome missile defence system over Ashkelon. Three reports which appeared on the BBC News website, however, all failed to tell audiences what really happened, electing instead to present them with a ‘he said/she said’ version of events. Police and health officials said separate Israeli airstrikes had hit the compound of Gaza City’s main hospital and a nearby playground on Monday afternoon, causing casualties. In other words, the BBC would have audiences believe that it cannot possibly tell them which is more reliable: the evidence provided by a sophisticated system of radars and trackers which are part of a technologically advanced early warning system, or the unverified word of ‘health officials’ belonging to a terrorist organization which, if it did not fire the specific missiles itself, is collaborating with the terrorist organization that did. Notably, the BBC’s journalists on the ground apparently had no inclination to carry out their own investigations into the incident. On the evening of July 28th, some seven hours after the incident occurred and long after the above aerial photograph had been made public, viewers of BBC television news were nevertheless shown a filmed report by Ian Pannell which was aimed solely at whipping up emotions and did absolutely nothing to inform them of the real circumstances behind the tragic incident. 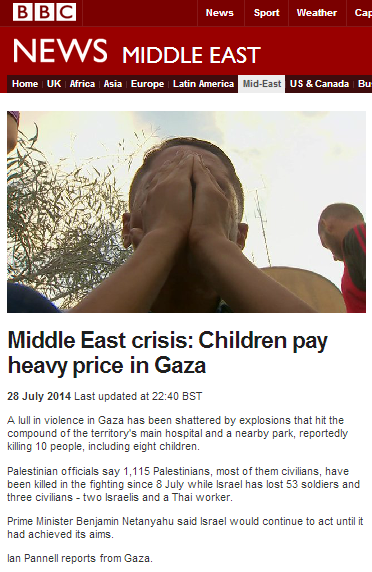 That report was also promoted on the BBC News website under the title “Middle East crisis: Children pay heavy price in Gaza“. “It was supposed to be a day of celebration in Gaza. But it ended with the blood of children. They’d been playing in the park, celebrating the Eid holiday. That’s when the rocket landed. At least ten were killed, eight of them children. Dozens more were injured. Ola [phonetic] is just four years old. She was out on the street when a rocket exploded. Her sister Bethaina [phonetic] was with her. ‘I was sitting in front of the house’, she says, ‘a rocket landed and it hit me and my sister’. A hospital already overflowing with casualties was engulfed in chaos. Parents and relatives frantically searching for their children. The wards were full of them. Fourteen year-old Mohammed had shrapnel in his back. ‘We were playing in the street and they hit us’, he said. ‘They targeted us. Lots of children were killed.’ And next to him, four year-old Ola [phonetic]. Shrapnel cut into her small body. Israel has denied it was responsible for this. Marching up the hill to bury two small boys. They’d played together, they were killed together and now, they were going to be buried together. 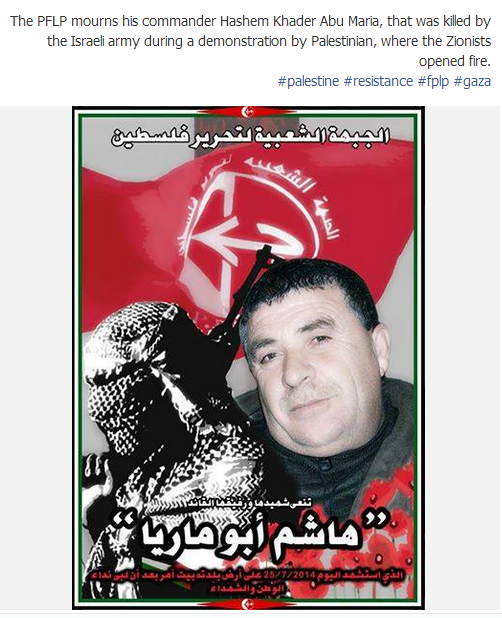 The boys’ father says his sons are martyrs who died for the resistance against Israel. Pannell’s tabloid style report does nothing to inform BBC audiences of the real circumstances behind the deaths of those children, with the missiles misfired by terrorists not even getting a mention. 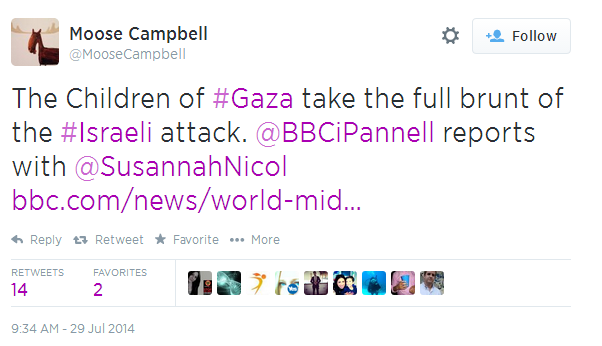 If readers wonder why Pannell chose to feed his audiences fact-free emotion rather than providing them with insight into what really happened, then a clue might be found in a Tweet sent by an Italian journalist after he left the Gaza Strip. “The children here have paid heavily”, says Pannell and indeed they have. But until Western journalists start telling the truth about the way in which terrorists in the Gaza Strip launch missiles from residential areas, schools, hospitals and mosques; endangering the local population and turning them into human shields, then children in both Gaza and Israel will continue to pay a heavy price. Like the rest of the Western media though, Ian Pannell and his team will soon be safely moving on. 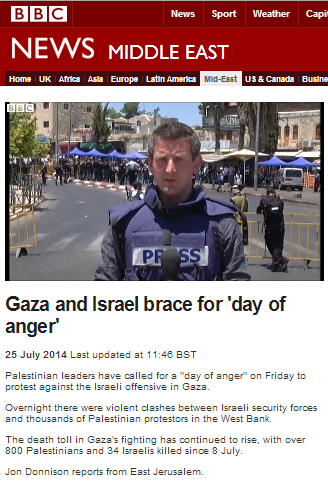 What word is missing from BBC reporting on Gaza? 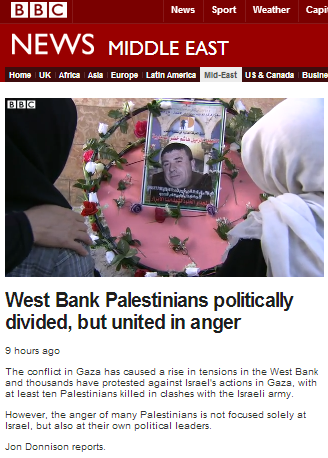 If we take a ‘zoom out’ look at BBC reporting since July 8th on the current hostilities in Israel and the Gaza Strip, one obviously very significant factor is its almost exclusive focus on the micro. 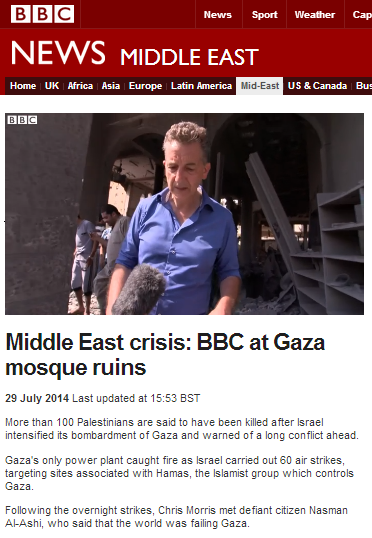 BBC audiences have seen, heard and read ample reporting at ground level, with the overriding emphasis being the portrayal of the effects of the conflict on civilians in the Gaza Strip and the majority of still and filmed images showing destroyed buildings, civilian casualties, hospitals and residents who have fled their homes. However, as we have noted here previously, audiences have seen, read or heard very little indeed about the terrorist activities of Hamas and other organisations which initiated these hostilities. Apart from the occasional tepid interview with a Hamas spokesman and rare vague references to “gunfire” or “rockets fired”, BBC audiences could quite well reach the mistaken conclusion that this is a story exclusively about Israeli military strikes and civilians. But zooming out even further, we see that there is one word in particular which has been remarkably absent from all BBC reporting and that word is Iran. The issue of where many of those missiles currently being launched at Israeli civilian communities came from apparently fails to arouse the curiosity of BBC reporters, who have put great effort into promoting the theme of “homemade rockets“. 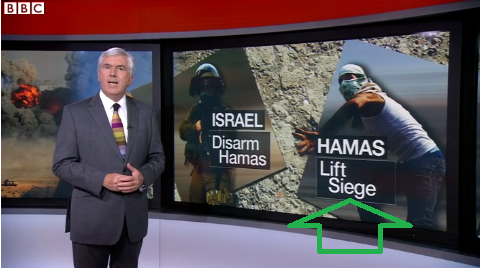 The subject of Iranian training and financial support for Hamas and the Palestinian Islamic Jihad has been completely absent from the picture presented to BBC audiences, meaning that this conflict is being framed solely in terms of a powerful Israeli military assault on an impoverished and beleaguered Palestinian civilian population. 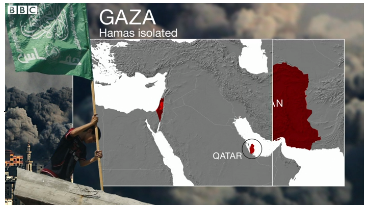 The graphic accompanying Gardner’s voice-over shows Iran being erased from the map of Hamas supporters under the title “Hamas isolated”, with the clear suggestion to viewers being that Hamas no longer enjoys Iranian support. 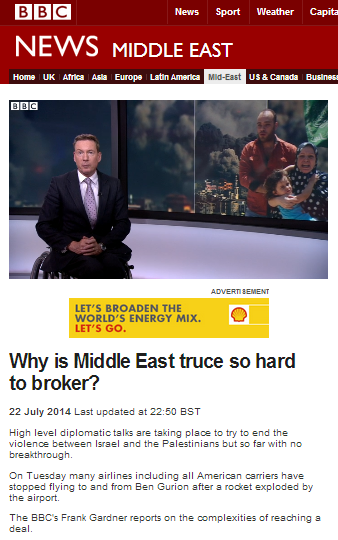 But does Gardner’s backgrounder provide BBC audiences with an accurate view of the situation? One person who would probably disagree with this BBC analysis is Ahmad Jibril of the PFLP-GC who recently told Al Manar TV – run by Iran’s proxy in Lebanon Hizballah – the following. “Even under the worst conditions, Iran maintained good ties with Hamas. During the recent crisis, we were in direct contact and held consultations with Hamas, with Ismail Haniya, and with Hamas Political Bureau head Khaled Mash’al. Two days ago, the Iranian foreign minister called Khaled Mash’al and talked with him for 20 minutes. This was a very important and productive conversation. 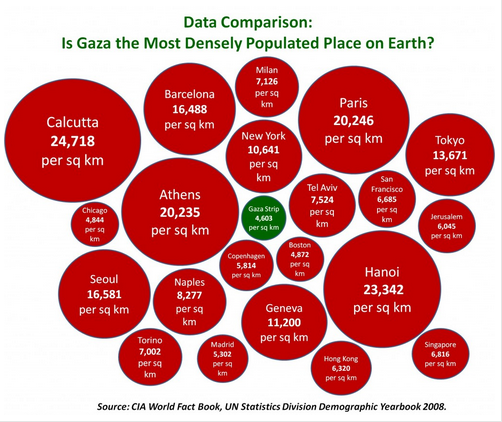 It seems too that Iranian intentions are not limited to the Gaza Strip. Those remarks should be viewed in conjunction with a comment (not reported by the BBC) made recently by Khaled Masha’al at a press conference in Qatar. The BBC’s failure to adequately inform audiences of the Iranian factor in this conflict (and also the Qatari one; an entire topic in itself) clearly means that it is falling short of its obligation to “[b]uild a global understanding of international issues”. But that failure also has an additional, more immediate effect. 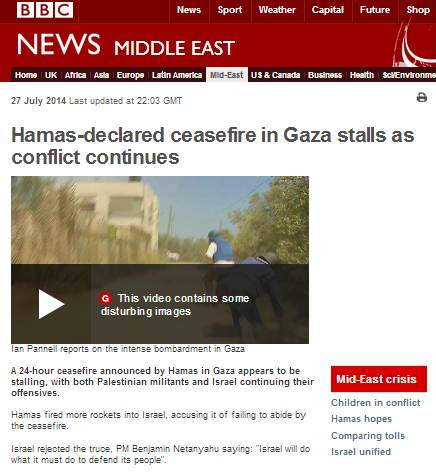 The past few days have seen extensive BBC amplification of Hamas’ pre-ceasefire demand to remove border restrictions imposed by Egypt and Israel in response to the actions of terrorist organisations in the Gaza Strip. 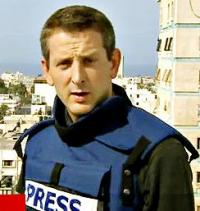 Yet not one BBC journalist has made any real effort to place that demand within the crucial context of the rearming of terrorist organisations in the Gaza Strip, the import of dual-use goods and building materials for the reconstruction of attack tunnels and the shared agenda of terrorist organisations such as Hamas and the Palestinian Islamic Jihad and other actors in the wider region. That’s one very serious ‘oversight’ for an organization which claims to set the standards for international journalism. 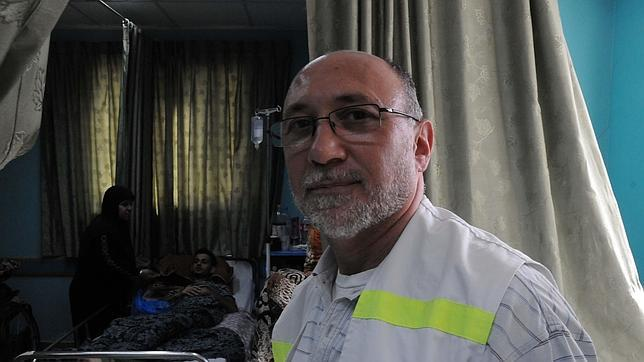 Last week BBC Radio 5 Live broadcast an interview with a doctor from ‘Medecins du Monde’ who inaccurately claimed that the shortage of medicines and disposables in Gaza Strip hospitals is attributable to Israeli policies. 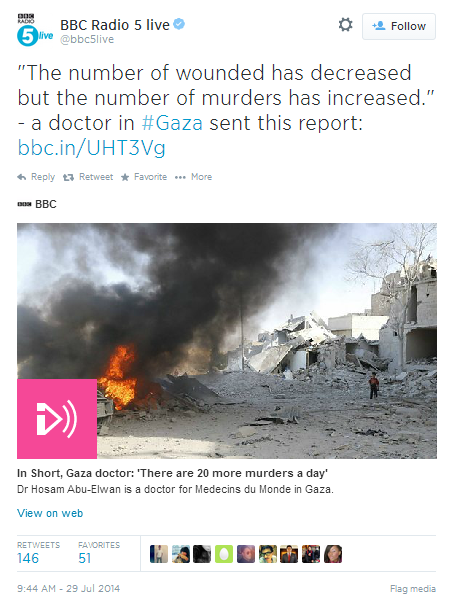 Despite that previous failure to adhere to BBC editorial guidelines on impartiality and despite the fact that Dr Hosam Abu Elwan’s claim was – like sadly too many of the claims made by medical staff in Gaza Strip at present – clearly political in motivation, on July 29th the same radio station saw fit to invite the doctor to speak again and his report– appearing on a dedicated webpage – was promoted on the Radio 5 Live official Twitter account. 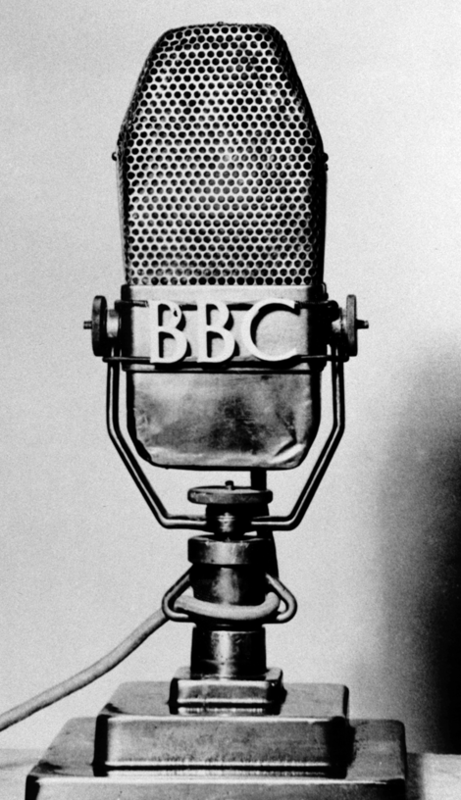 The version of this ‘report’ promoted by BBC Radio 5 live on Twitter and on the dedicated webpage lacks all context and clearly plays exclusively on the emotions of listeners who cannot possibly discern from it whether the dead are civilians or combatants or in what circumstances – or by whom – they were killed. The term ‘murder’ – used no fewer than five times in the 77 second-long report, twice on the webpage and twice in the Tweet – has a specific meaning in the English language which attributes intention and premeditation – as this programme’s UK listeners will know. As someone for whom English is not a first language, Dr Abu Elwan may perhaps not be aware of that nuance, but the editors of this item most definitely should be and hence their decision to air and promote such a recording as a raw, stand-alone item and to use the word ‘murder’ as part of their promotion clearly calls editorial standards of impartiality into question. As readers may already be aware, one of the people recently ‘parachuted in’ by the BBC to provide back-up to its local staff since the beginning of Operation Protective Edge is former Gaza correspondent Jon Donnison. Despite only having been here for a few days, Donnison has already managed to get himself in the news once again, as Eli Lake documented here. Donnison tweeted that [police spokesman] Rosenfeld told him that while the cell on the West Bank was operating alone, it was affiliated with Hamas. 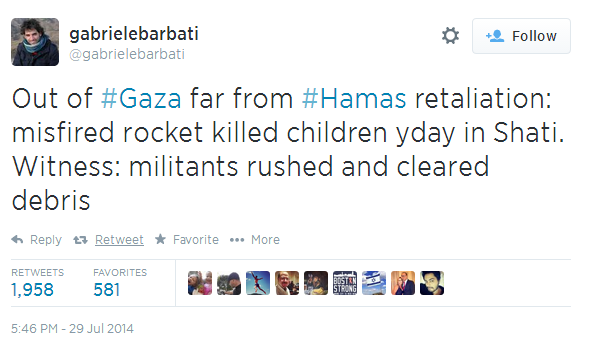 However, it did not receive direct orders from Hamas leadership. Jon Donnison and his Twitter tales remain a liability to the BBC. 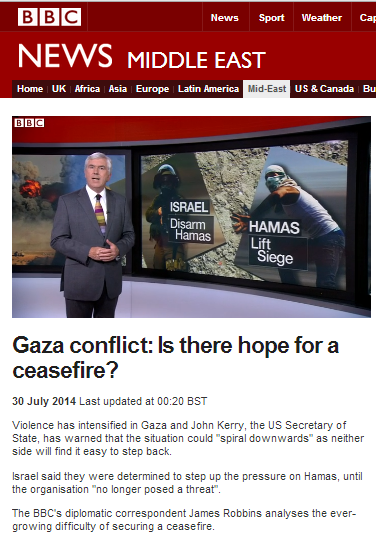 On July 27th BBC television news programmes aired a report by Ian Pannell which also appeared on the BBC News website under the title “Hamas-declared ceasefire in Gaza stalls as conflict continues“. Before we take a look at Pannell’s report, let’s remind ourselves of the timeline of events over the weekend. On Saturday July 26th a 12-hour humanitarian ceasefire came into effect at 08:00 local time. 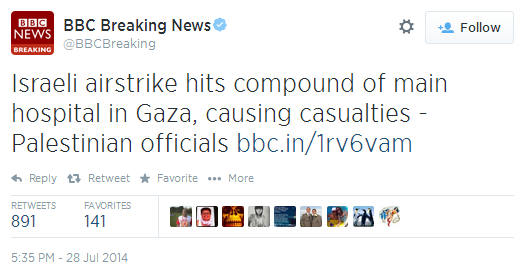 Before that, nine missiles were fired from the Gaza Strip into Israel between midnight and 08:00. Throughout the agreed twelve-hour period, Hamas showed that it is capable of holding its own fire and preventing other terrorist organisations from acting when it wants to do so. At around 18:20 on Saturday evening, Israel said it would be willing to extend the ceasefire for a further four hours until midnight on Saturday night. Despite media reports that Hamas had also agreed to a four-hour extension, missiles were fired at Israeli communities at 20:04, and at least four subsequent barrages followed throughout the evening, including on Tel Aviv. At around 21:30 a Hamas spokesman said that Hamas would not extend the ceasefire until midnight after all. Just before midnight, the Israeli cabinet said it would further extend the ceasefire until 20:00 on Sunday, July 27th. At 05:00 on July 27th mortars were fired from the Gaza Strip at communities in the Hof Ashkelon area. Further attacks took place at around 05:57, 08:10, 08:11, 08:33, 09:08 and 09:34 – with targeted areas including the Sharon and Shfela regions of central Israel. Just after 10:00 Israel announced that it was resuming fire in response to the missile attacks. Further missile attacks from the Gaza Strip took place at around 12:52 and 13:45. 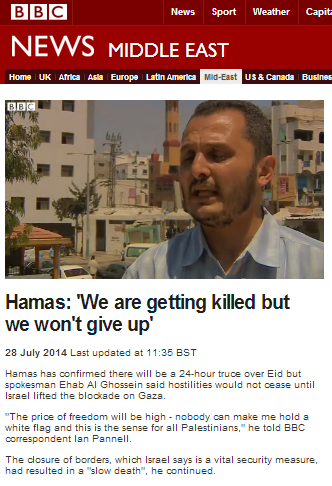 At around 13:30 Hamas announced a 24-hour truce starting at 14:00. Missiles were fired at approximately 14:19, 15:30, 16:18 (a woman was injured in that attack in a direct hit on her home while she slept), 16:42, 16:51, 17:22 and continued into the evening. From the morning of July 27th until 19:00, over 50 missiles were fired. Ian Pannell’s report was filmed at around 10:00 on the morning of July 27th according to his account. In other words, at least seven missile attacks had been launched from the Gaza Strip by the time his camera began rolling. So let’s take a look at how he presented the situation to BBC audiences. Pannell then interviews Hamas spokesman Ehab Abu Ghossein. As noted above, Israel announced at around 10:00 that it would no longer hold fire due to the numerous missile attacks throughout the morning. Pannell, however, has nothing informative to say about those attacks meaning that BBC audiences remain ignorant of the circumstances behind Israel’s announcement that it would resume fire. The rest of Pannell’s report is devoted to context-free accounts from local residents. The possibility that the Israeli fire might be directed at locations from which missiles were fired at Israel is not raised by Pannell, who also shows audiences footage of a context-free medical evacuation. As has been the case for the last three weeks, BBC camera crews apparently did not capture any of that abundant missile fire from the Gaza Strip on tape. “A 24-hour ceasefire announced by Hamas in Gaza appears to be stalling, with both Palestinian militants and Israel continuing their offensives. 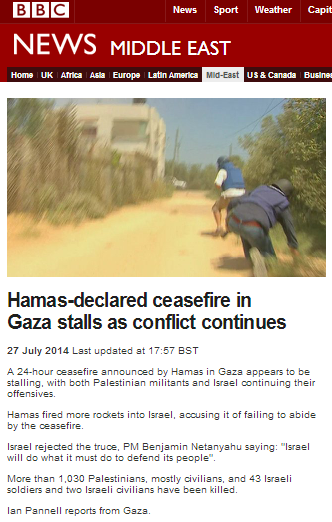 In other words, the BBC presents Hamas missile fire during a truce it had declared unilaterally as a response to Israeli fire during a truce to which it had not agreed. 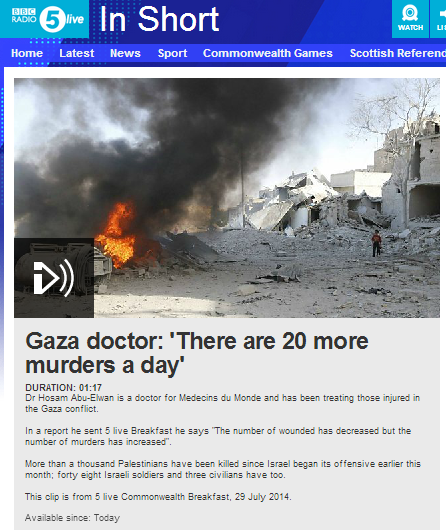 In other words, from that we seem to be able to conclude that the Hamas-run Gaza health ministry – which of course has been quoted numerous times a day by the BBC since the beginning of hostilities – does not overly trouble itself with definite identification of casualties before it announces the numbers – and civilian status – of dead. That article does not provide readers with any independent BBC reporting of the missile fire on the morning of July 27th which caused Israel to resume activities, but presents it solely in the form of an Israeli claim. 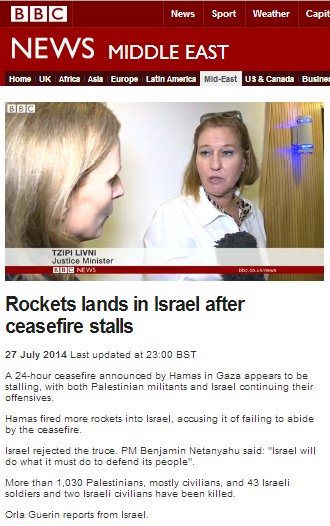 The article also includes a filmed report by Orla Guerin which was shown on BBC television news on July 27th and also appeared on the BBC News website’s Middle East page under the title “Rockets lands in Israel after ceasefire stalls“. The synopsis to that report as it appears on the website again promotes the misleading notion that Israel broke the Hamas-declared unilateral ceasefire to which Israel did not agree. “Mid-afternoon in Israel. A message from Hamas. A rocket landed one hour into a ceasefire it had announced. The home-owner was moderately wounded. Of course some of those tunnels have already been used to launch attacks, but Guerin does not inform her viewers of that. “Well, Israeli troops remain in position here close to the Gaza border and they’re still in position on the other side. In recent days the defence minister has said the ground operation could be broadened significantly. Twenty days on, by Israeli standards, the army has already suffered heavy losses and we’re just hearing the sound now of outgoing fire. After that context-free statement based on figures provided by the Hamas health ministry but not independently verified by the BBC to date, Guerin goes on to ask Israel’s minister of justice one of her trademark ‘impartially’ vitriolic questions – clearly more intended at broadcasting her own inaccurate statement than actually getting any information which might be informative to viewers from her interviewee. That flippant interpretation by Guerin shows that she – predictably – joins the ranks of those foreign journalists who prefer to advance their own knee-jerk theories rather than actually trying to understand what they are seeing. Guerin closes by misleading viewers with the implication that Hamas’ terrorism against Israeli civilians has something to do with the fact that a Palestinian state has not yet been established. Bear in mind that Guerin – reporting as she is from Israel – is supposed to be giving BBC audiences the Israeli side of this story. Clearly that is not what she was trying to do in this report.